AS KIDS, we were taught to never be wasteful with our money. Our parents always advised us to spend each penny wisely. The adults always talk about the importance of money, telling us that these resources don’t grow on trees. As we grow older, we try to make the most out of our own money, trying to be as financially efficient as possible. And thus, even in the little guilty pleasures we have, like vaping, we should settle for decisions that could help us save the most. One way we could do that is to buy refillable e-cig cartridges. Refillable e-cig cartridges, as the name suggests, are containers used for e-cig devices that carry vape juice. These containers can be reused with a refillable liquid every now and then. But how do you save money from that? By taking advantage of refillable e-cig cartridges, you can make use of the same cartridge without having to buy a new one. 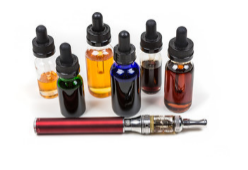 The simpler models, like the disposable e-cigarettes, don’t have refillable cartridges; meaning, you would have to consistently buy new e-cigarettes every now and then. That would surely cost more than just buying a refillable e-cig cartridge. Aside from cutting cost, you can also save time. By refilling the cartridge, it saves you the need to go to the store to buy disposable e-cigs or new cartridges. Though it may not seem like a lot of time spent, but if you put those minutes together, you would probably be surprised with the amount of time you have wasted going to a vape store. You want to make the most out of your time and money. Thus, the decisions you make when it comes to vaping should still strive towards that goal. Hence, one of the best things you could do to save both of these resources is to look for e-cig models that can accommodate a refillable cartridge. And if you really want to save time, instead of going to the store, shop online and look for the cartridges and e-cig models that are right for you.